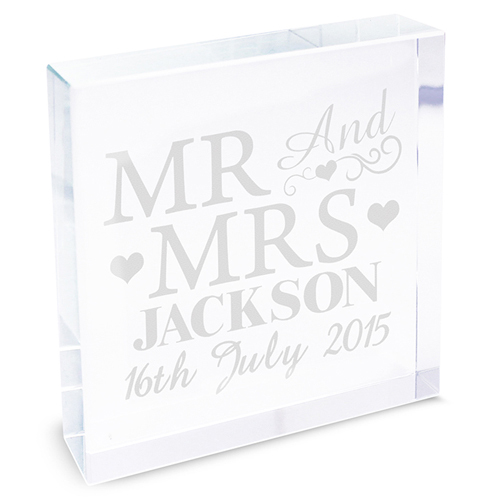 A sweet message glass token, this is a lovely little gift that the happy couple will treasure forever. Personalise this Engraved Mr and Mrs Large Crystal Token with a couples surname up to 12 characters and date up to 20 characters. 'Mrs & Mrs' is fixed text on this item. Personalise with a couples surname up to 12 characters and date up to 20 characters.